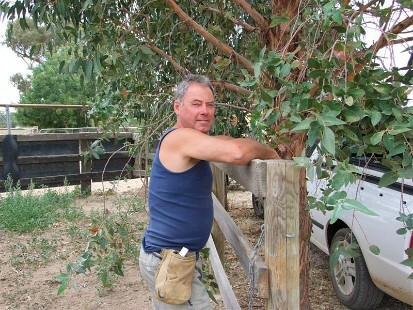 Tony Pictured at HollyLodge Thoroughbreds, Avenel, Victoria. About Tony Carter-Smith Pty Ltd.
Tony has been involved with horses all his life and is a Registered Thoroughbred Trainer. Tony has 30 years experience freeze branding horses. He works under contract to freeze brand and take DNA samples of all standardbred foals in Victoria. Tony freeze brands for the majority of the thoroughbred studs in Victoria. Tony has experience freeze branding all breeds from warmbloods to miniatures.